As of April 10th, 2019 ALL MEETINGS WILL BE HELD AT OUR NEW OFFICE AT 1093 BRYDGES STREET, LONDON!! We hope you will join us and check out the new digs! Please consider becoming a Contact Person in your location! Call the office today to let us know you’re interested. WHY YOUR ATTENDANCE AT MEMBERSHIP MEETINGS IS IMPORTANT! As a permanent or a casual member of CUPE Local 7575 you have voice and vote into every decision! Matters that are financially relevant are especially important for the membership’s input and approval, as it is the members’ union dues that are being spent! It is you, the member, that directs the Executive. 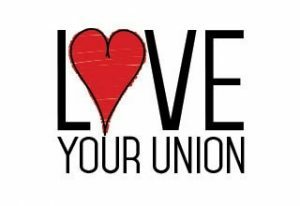 Did you know that we need only 15 members (of 1000) to attend a monthly meeting in order to conduct the business of the union?! Most locations have more than one Educational Assistant, so we encourage you to take turns attending the meetings to bring back the information to your colleagues, as we know that finding time outside of work can be difficult at times. We need your commitment to attend!